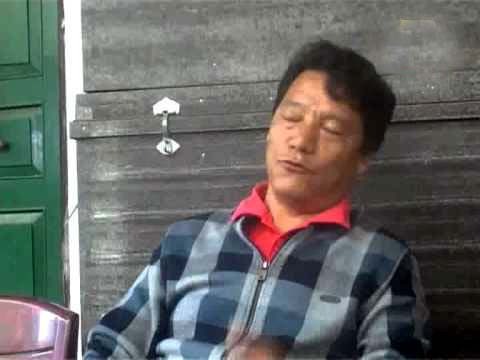 The political career of Bimal Gurung, leader of one faction of Gorkha Janmukti Morcha (GJM), seems to be hanging in the balance in the wake of the Supreme Court verdict as there are now very few straws left for him to clutch at — he either has to return to Darjeeling and surrender before the police or continue hiding. Several GJM leaders, once loyal to Gurung, allegedly made calls to the rival GJM faction led by its president Binay Tamang, expressing their wish to join the fold. The rival faction is now commonly called the Gorkha Janmukti Morcha (Binay Tamang) camp. General secretary of the rival faction Anit Thapa said that he has been receiving calls from GJM leaders and cadres in Gurung faction after the verdict. “We have been receiving calls the whole day. I won’t take any names, but some of the calls we have received are from some big GJM leaders. They now want to join us. We have decided to induct all the leaders and GJM cadres who want to join this faction. At the end of the day, this is the same party, just with different thought process and leaders. They had supported Bimal Gurung all this while, it was an emotional connect, and we understand their feelings,’’ he said. Thapa added that the people have, over the past few months, been turning more towards their faction as the only alternative that could fulfil their dreams of a separate Gorkhaland. “This verdict has swayed the situation in our favour. The sympathisers they (Gurung and his group) had among the public, too, now have no option. This works to our benefit and is good news for us,’’ he said. Gorkha National Liberation Front (GNLF) spokesperson Neeraj Zimba said that for all practical purposes, Gurung is finished in the Hills. “Legally, there is only one option left for him now. To return to Darjeeling, surrender before the police and face trials for all the cases lodged against him or continue to remain underground. There are so many cases against him that politically I think it is impossible for him to make a comeback. Bimal Gurung may be synonymous with the GJM, but he is not synonymous with the Gorkhaland movement, which is a people’s movement. The ground reality is that Gurung’s supporters and sympathisers are few at this point in time. Even during the agitation, he was physically absent,’’ said Zimba. Talking about the Gorkhaland agitation, Zimba said the Supreme Court verdict has taken the wind out of the movement’s sails. “At this present moment, as things stand, a separate Gorkhaland state does not seem possible. But, we are still looking for a viable political solution to the problem of Darjeeling,’’ he said. The verdict is a shot in the arm for Chief Minister Mamata Banerjee, who did not react to it. It has unequivocally placed her in the strongest position in north Bengal. Mamata’s main rival in the Hills, the GJM, has irrevocably split and she has placed Binay Tamang at its helm. For the BJP, which has been slowly making inroads into the state’s political space, the verdict is a spoiler. “S S Ahluwalia (BJP’s Darjeeling MP) had extended his full support to Gurung. We will have to see what political stand he will take in the Hills after this. The verdict also most definitely affects the BJP’s chances in the Hills as Gurung’s GJM was their main ally. A vacuum has been created and other players will come to the fore now,’’ said Zimba. The climb-down for the Hill parties has been so rapid that none of them are even now demanding a tripartite dialogue with the state and the Centre any longer, he said. “There are bipartite talks now. There will no longer be tripartite talks,’’ added Zimba, whose own party had been demanding the involvement of the Centre along with the other political parties. Political analysts in the Hills opined that the verdict has thrown the people “into a great deal of uncertainty”. “Everything will now depend on how the Centre plays its cards. Will they continue to back Gurung? Or will they give him up? If they do give him up and not support the cause of Gorkhaland, there will be no sympathy left for the BJP in the Hills. This will not only affect the districts of the Darjeeling Hills but its implications will be seen across Jalpaiguri all the way to Cooch Behar, where the BJP has been making inroads,’’ said analyst and Darjeeling resident Upendra Pradhan. Pradhan added that the vacuum in the Darjeeling hills was also due to the fact that the Binay Tamang faction did not really command huge support from the locals. “The faction is seen as being installed by the state government. The reality here is that nobody likes the TMC or anybody who is seen hobnobbing with the Bengal government. Having said that, the 15 development boards set up by Mamata Banerjee is now likely to work in her favour more than ever unless the BJP makes the right moves,’’ said Pradhan. The political career of Bimal Gurung, leader of one faction of Gorkha Janmukti Morcha (GJM), seems to be hanging in the balance in the wake of the Supreme Court verdict as there are now very few straws left for him to clutch at — he either has to return to Darjeeling and surrender before the police or continue hiding.